Radio AP Long Range outdoor, produk unggulan dari IPCOM. Dalam paket sudah termasuk poe adaptor. 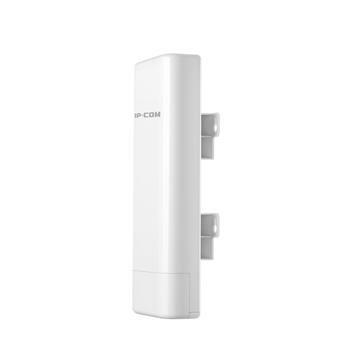 AP615 2.4G outdoor long range access point is designed to WISP CPE solutions and long distance wireless network solutions for video surveillance and data transmission. It features with an external power amplifier and a built-in 12dBi directional dual-polarized antenna which provides an efficient way to pick up and maintains a stable signal for a wireless network connection ranging multiple kilometer. 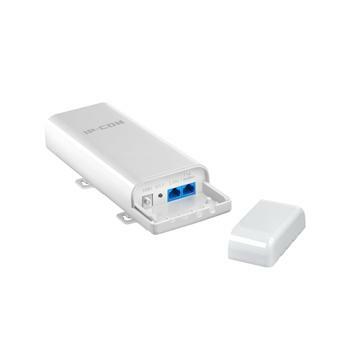 AP615 2.4G outdoor long range access point is designed to WISP CPE solutions and long distance wireless network solutions for video surveillance and data transmission. It features with an external power amplifier and a built-in 12dBi directional dual-polarized antenna which provides an efficient way to pick up and maintains a stable signal for a wireless network connection ranging multiple kilometer. 5km+ data transmission AP615 is designed for outdoor long distance wireless data transmission. Adopting of external power amplifier and 12dbi directional antenna to achieve 5km+ transmission range. Professional Outdoor Design Equipped with IP64 waterproof enclouse, AP615 can work in various weather conditions, such as sunshine, rainfall, wind, snow or extremely low/high temperature environment Multiple Application Scenarios AP,Station,WISP,P2MP etc operating modes supported,AP615 can work in multiple scenarios such as long range video surveillance monitor and data transmission. 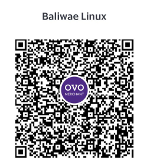 Easy to setup, Easy to manage AP615 also comes with a centralized management software that helps users easily manage all the devices in their network from a single PC-CPE Controller.